Frisco Kids is celebrating its third birthday this month! We're doing it with a giveaway. You can win some fabulous prizes, thanks to our wonderful giveaway sponsors. But after making your comment, make sure to vote for Frisco Kids on the Circle of Moms' Top 25 SF Mom Blog list. You can vote every 24 hours. Ross - $50 gift card. Ross discount stores recently renovated their San Francisco store. Check it out, or check out any of the Ross stores with your prize! Ross has brand name clothing and home decor for up to 60% off retail price. 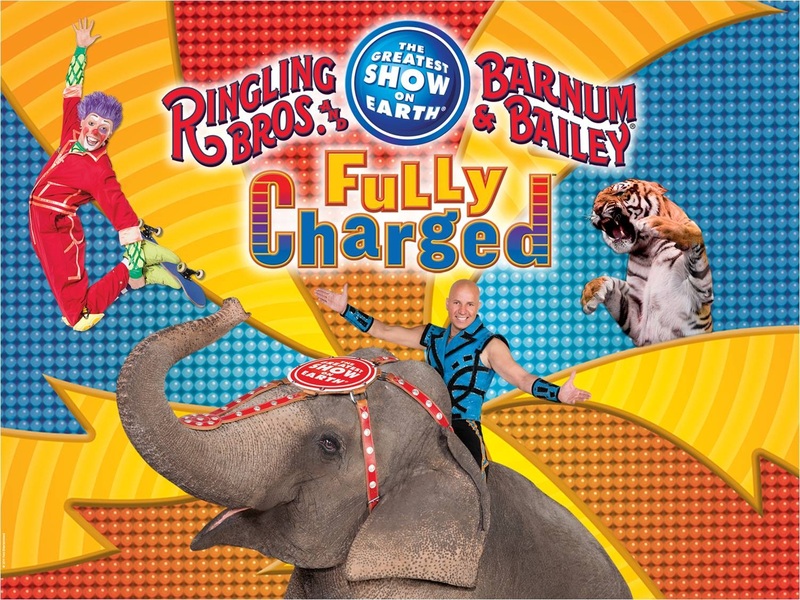 Ringling Brothers - the winner gets 4 tickets to the show Fully Charged, a Ringling Brothers show at the Oracle Arena in Oakland. 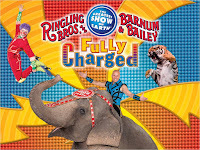 Note that the Ringling Brothers Barnum and Bailey Circus is also playing at Cow Palace (September 1-5) and the HP Pavilion in San Jose (August 17-21). But the winner gets tickets for the Oakland Arena. The Oakland shows are September 8, 9, 10 and 11 - pick one! There are several show times (including weekend matinees). Kidlandia - $50 site credit (includes shipping). 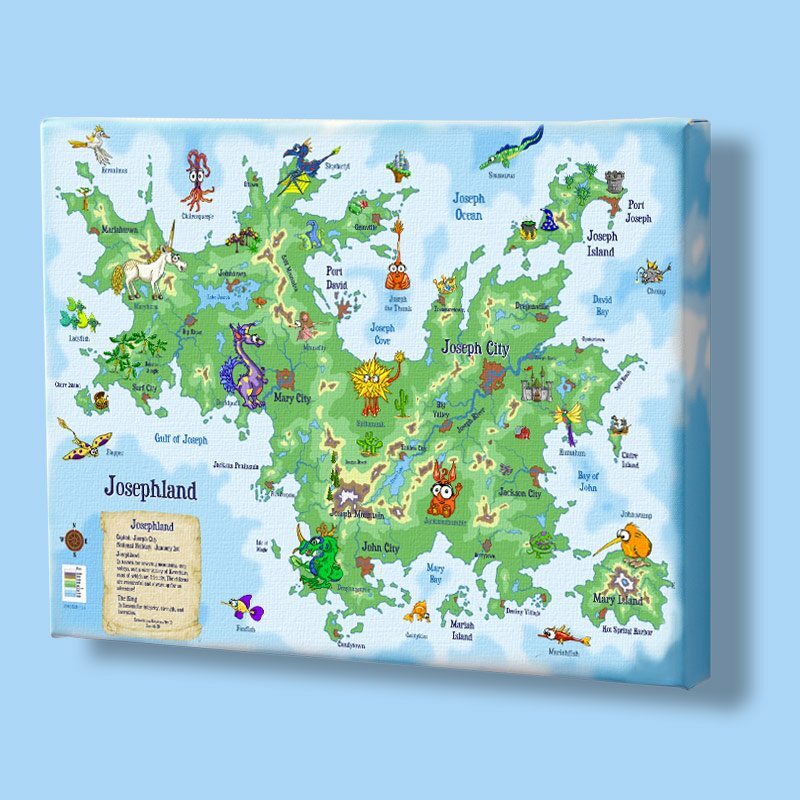 Kidlandia, a San Francisco company, offers personalized products like maps, placemats, puzzles, doorhangers, growth charts, mugs stretched canvas maps and more. Use their cute cartoon style, or go for their licensed Disney, Dora, Spongebob or Veggie Tales products. 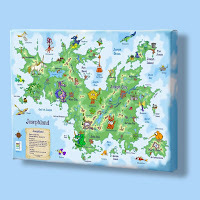 Check out their new Kidlandia iPad game. This prize gives you a $50 credit to use on their site, and you can use the credit for shipping too. The Wiggles - Ah, I have fond memories of taking the kids to see the Wiggles in Oakland. Dori was 3 and Zack was 1 - and we had a Wiggly Party! The Aussies are coming back, to the Paramount Theatre in Oakland for two shows, and Frisco Kids has a family 4-pack of tickets to give away. It's for the Big Birthday live show on Friday, August 12 at 6:30. 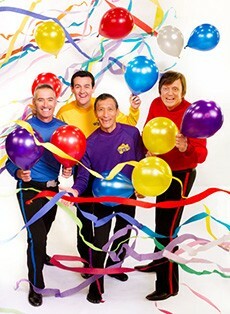 The Wiggles are having their own contest to let one audience member be part of Fruit Salad (yummy yummy). Even if you don't win, you can get tickets as low as $15.50 on Ticketmaster - use code UKULELE! for $10 off tickets. If you go to the show, bring some pet food and dog blankets to benefit local animal shelters. Play-Well TEKnologies - This camp/class/birthday party place teaches the fundamentals of engineering through the use of LEGOs to kids in kindergarten through 5th grade. Sounds like a place my son would love! The winner gets a 4 hour drop-in play card to redeem at the Marin (San Anselmo) or Pleasanton location. The value: $36-40. Anyone who doesn't win the grand prize, but wants a free 30 minute card to use, let me know and I'll email it to you. Tru-Kid All Natural Skin Care for Kids - I got some of these products to review, and I'm in the process of trying them (the sunblock works well - my kids still need to try the shampoo and detangler). This Oakland, CA company offers lots of skin care (and hair care) products that are natural and contain no synthetic dyes, paba, parabens, petroleums, gluten (I didn't know skin care products contained gluten) and other ingredients you might not want to use. The winner gets to choose 3 products - shipping included! Cinemark movie ticket - One platinum supersaver prepaid admission, valid for one box office admission. There's a premium for 3D movies, and it doesn't work for IMAX. Good for Cinemark, Century Theaters, CineArts and Tinseltown. This is sponsored by Frisco Kids - sorry there's just one, but when's the last time you went to a movie with your significant other anyway? These are bit more complicated than most of our contests, because we have so many fabulous prizes to give away! So read carefully. The contest closes on Friday, July 29 at 5 p.m. Pacific Time. Any comments made after that time will be deleted or not considered. You can only win one prize (unless we have too few entries). 1. To enter, you must leave a comment stating the prizes you want in the order that you want them (or if you're open to all prizes and don't care which you win, state that too). I don't want to give you something you can't use. Make it easy for me! 2. You must also leave your email address (or if you don't want to post that online, email me at blog at friscokids dot net, and tell me which entry is yours). If I don't know how to reach you, I can't give you the prize. 3. You get an additional entry for becoming a fan of Frisco Kids on Facebook. Make a comment here if you do that. And if you're already a friend on Facebook, just tell me that in an additional blog post comment - that counts too. 4. If you sign up for emails from Frisco Kids, you'll get an additional entry (see #3 - no penalty if you are already an email subscriber). You can sign up on the top right of the page. 6. After the entry cut-off, I will use random.org to get a randomized list of winners. From that list, the first person will win his/her first choice prize. The second person will win his/her first choice prize (if available), or else I'll go to the person's second choice prize. And so forth. If you're interested in any/all prizes, let me know, so you won't be shut out of the contest. I realize that not all prizes will appeal to all people. 7 I'll email you that you won, and you'll have 48 hours to get back to me with your address (if requested) or to confirm you got my email so I can send your prize. If you don't get back to me, I may give the prize to someone else. Sorry! I'll post the winners once I've gotten them all nailed down. Please check out the wonderful sponsors who are offering prize items! I'm interested in winning the Ross gift card. Thank you! I just became a Facebook fan. My FB username is Mary Happymommy. I would like the Ross gift card, the Plum District site credit, the movie ticket or the circus tickets. I'm pretty sure I'm already a fan on Facebook and I get your emails too. Those are all great prizes! I'd like the Ross gift card, circus tickets, and movie ticket. Thanks! I'm now a fan on Facebook, been getting your emails for a few years and love them! (Thanks for also including some fun giveaways I've sent from our store, @Standard5n10Ace. My boys are now too old for the Wiggles ;) but you always have great stuff on your posts. 1. Ross - $50 gift card. 2.Plus District $50 gift card. What wouldn't I love??!! All of it, any of it!! I'm interesed in the Wiggles concert. If not available I'm open to anything else. I'm already an email subscriber and I'm interesed in the Wiggles concert. If not available I'm open to anything else. I've "Liked" your FB page and I'm interesed in the Wiggles concert. If not available I'm open to anything else. I am a subscriber by email too!!! I am on your e-mail list and look forward to them so I can check out what's new AND I just "liked" you on FB. I would love to get the Ross, Plum District or TruKid prize! Sorry, I didn't read the rules carefully enough the first time so here is my post about liking you on FB. I would love to get the Ross, Plum District or TruKid prize! Here is my third entry (assuming my first one counts as the e-mail qualification). I would love to get the Ross, Plum District or TruKid prize! Any prize will be fine exempt the kidlandia and totsy and limeApple. I would not use those, but all the other will be great! there isn't a 'love' button on Facebook - so I 'Liked' you. I would love any of the prizes except the wiggled concert..can onlynhandle going one time in my life! Thanks for the great prizes! 3) or anything we'd be lucky enough to win! Thanx Deb! And you can count me as a loyal reader for the 411! I'm a fan on FB too!